The compact packaging is interesting and I’m honestly not sure why they made the cover/mirror top of the compact so thick. But my guess is so that when it’s closed it looks like you get a lot of product. I don’t really mind it, since it’s not that much thicker than a typical face powder, but it’s just something I noticed. And thought it was kind of weird. As you can see from this arm swatch and finger swatch, it gives a really natural, more cool-tone color to your skin. 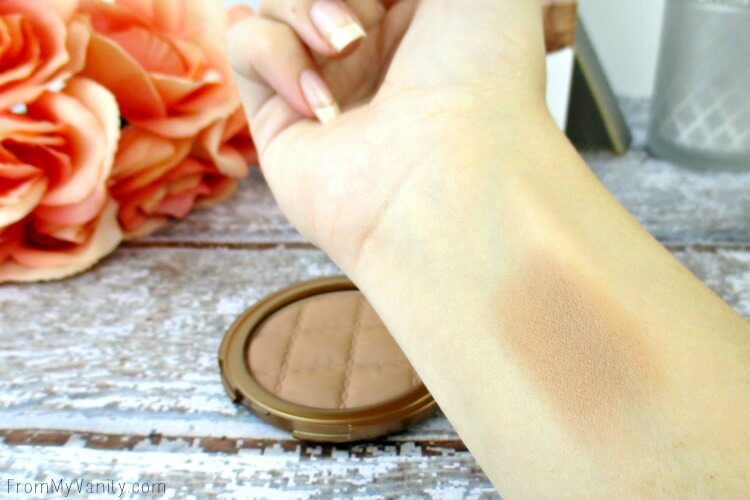 I apologize for the washed out look to the picture above, but as you can see from the picture below, it’s still an accurate color of the bronzer. 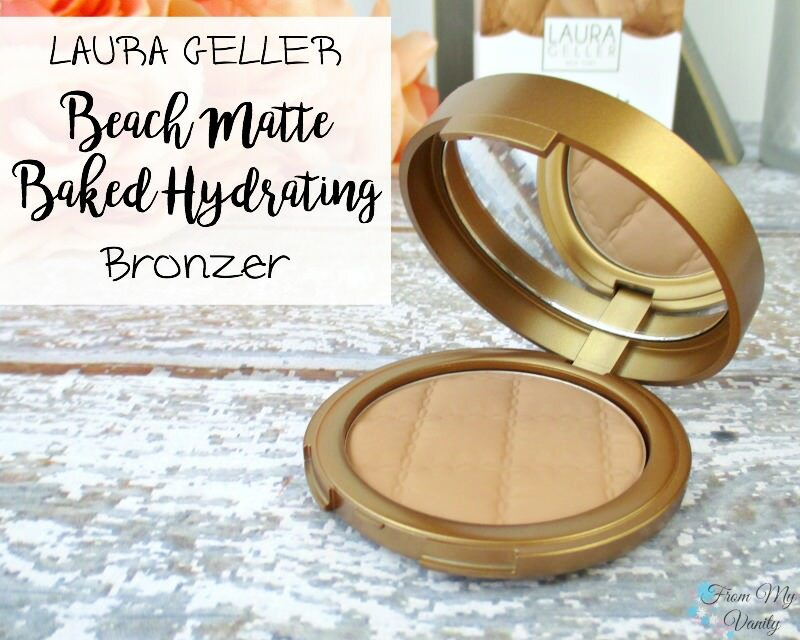 The Laura Geller Beach Matte bronzer feels very smooth when you swirl your finger in it but it isn’t a buttery or soft-to-the-touch. Which is what you want in a bronzer, in my opinion. It gives you room to blend it seamlessly into your skin. Which gives you a very natural bronze or contour to your makeup. As I think you can tell from the swatches, this Laura Geller Beach Matte bronzer is not overtly warm tone. I feel like it leans more neutral, or even cool, tone. Which I love! I tend to stay away from very warm-toned bronzers because I feel like 9 times out of 10 I end up looking oompa-loompa. And who wants that? Why Don’t More People Talk About This Bronzer? I am curious to try this out against the Urban Decay Beached bronzer, since they both were released around the same time and…they both have the word beach in it. Haha, but no, seriously, I am interested in seeing if they are comparable at all. I heard people rave about that Urban Decay one for months. 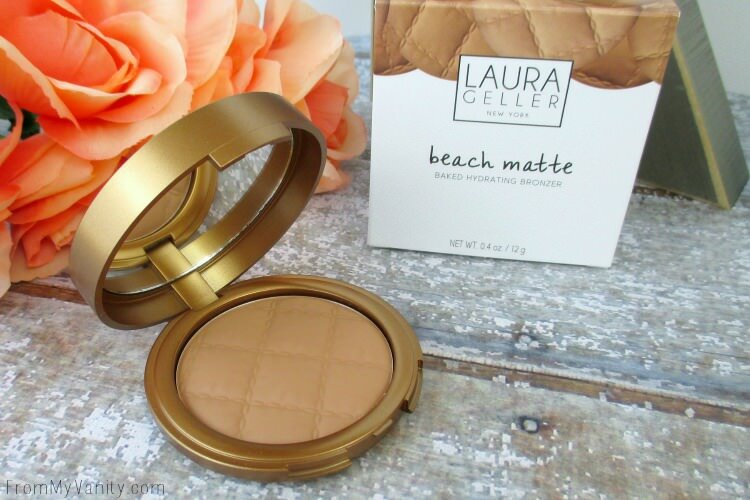 But I haven’t heard really anyone talk about this Laura Geller Beach Matte. And I really think it amazing! This stuff has been my JAM all summer! 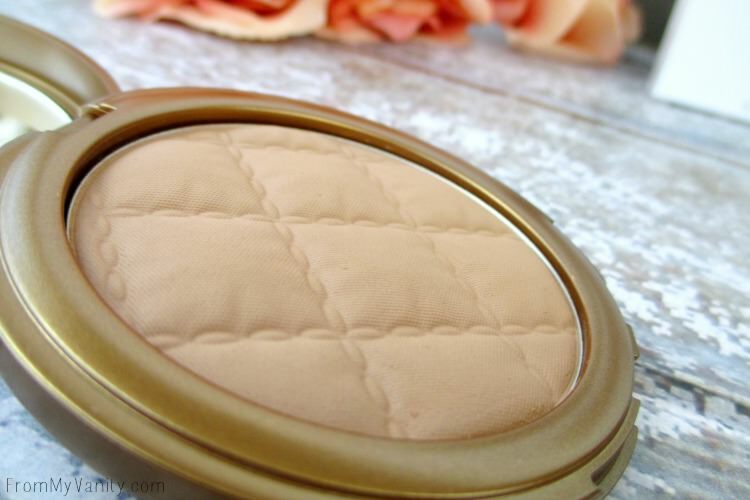 It’s the perfect bronzer to use for every day and can easily be built up for a more dramatic nights out. 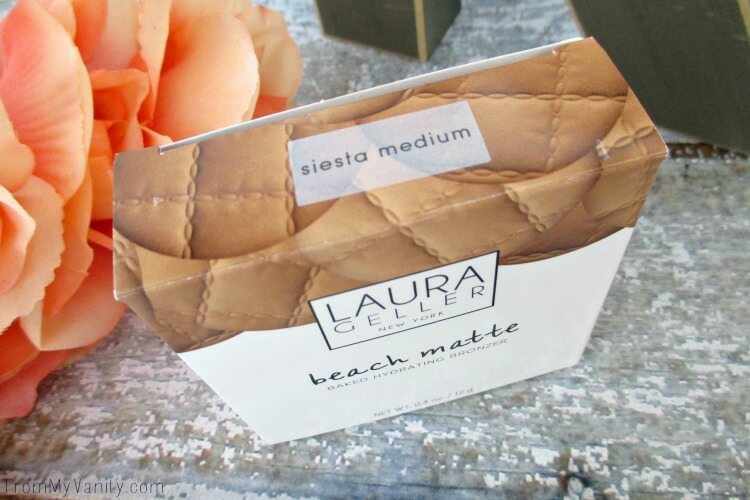 In short: I highly recommend this Laura Geller Beach Matte bronzer! 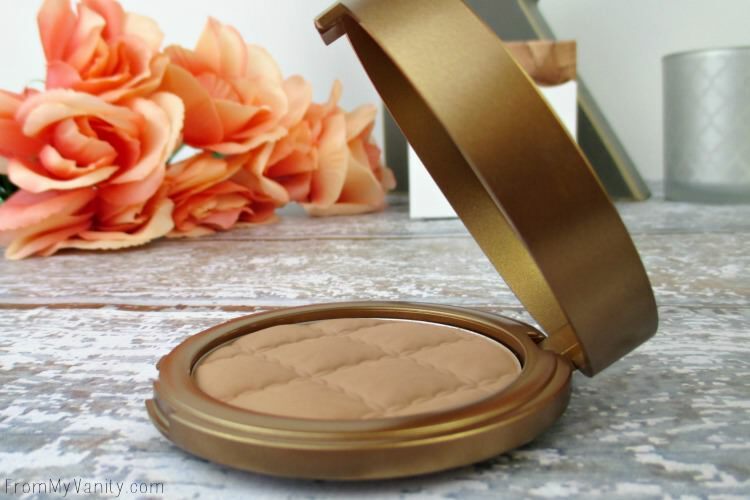 Have you purchased this bronzer? Let me know if you love it, or if you plan to purchase it anytime in the near future. I have been reaching for it on. the. daily! If you found this helpful, or want to support me, please pin the image below! Thanks love! I definitely need a matte bronzer. I will put this on my wishlist! I’ve been using it so much, It’s fantastic! 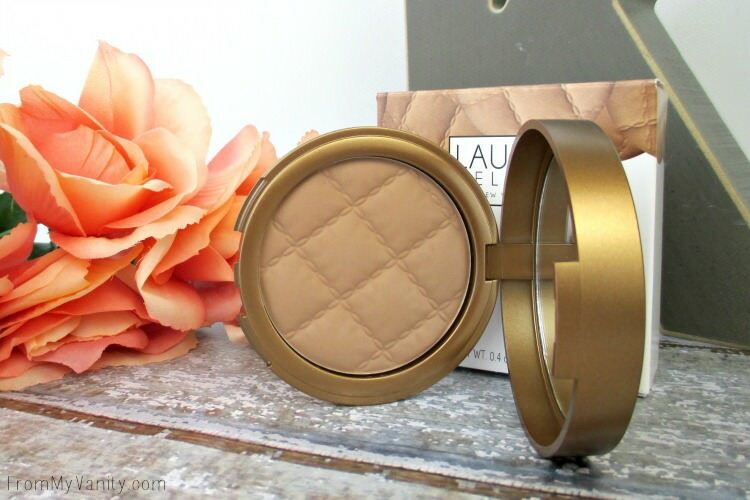 Laura Geller owns baked cosmetics! I prefer matte bronzers to shimmery ones on my oily skin. Wow, this looks amazing! 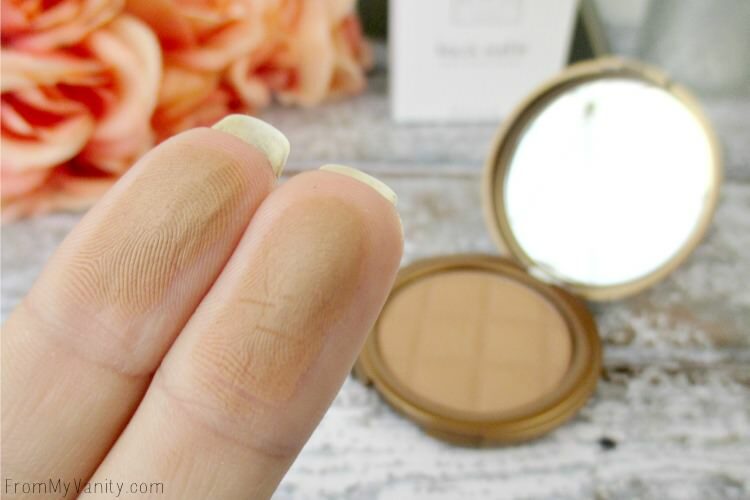 I love matte bronzers for a more natural look and the cooler tones sound perfect! Thanks for sharing! I’m with you on the packaging and how pretty it looks – totally worth it to spend the money when all the fine details are there. I have this bronzer on my Ulta list and now that I’ve seen your swatches, it just moved up a few notches. i’m not a bronzer fan but i’d definitely be more inclined to use a matte one!! I’m considering buying the Too Faced one but now you’re making me doubt xD! I guess I’ll just swatch them both when I go buy it and decide. I prefer the cool toned ones over the warmers as well, they look more appealing. They’re both excellent! Definitely swatch them both and see, but I’ve just been reaching for this one so much more than my Chocolate Soliel. It’s also not as intense as the Too Faced one, so I feel like I don’t have to be as careful. I can be a bully when it comes to using makeup, haha! They sell it in light, medium and dark. I am from the UK, and pale skinned. I am not super pale, but definitely not tan. Generally my foundation shade is somewhere between light and medium. Hope that helps!